Rapunzel’s Tower to replace the old Skyway station in Fantasyland, the tower will act as a meet and greet location for Rapunzel and Flynn. Lanterns will be projected against the building at night every 15 minutes when “I See The Light” plays. Beauty and the Beast village and ride to replace the old Motorboat area, which has sat unused for far too long. The village will include a spot to meet Gaston, and another area to meet Belle and the Beast. The ride will be on a scale to rival the Little Mermaid ride in DCA, and the façade will be Beasts’ Castle, the 2 big show scenes will be “Be Our Guest” and “Beauty and the Beast”. Also Gaston will be featured in the ride both for the tavern scene “Gaston”, and again with a climactic fight between him and the Beast, you will pass underneath them into the ballroom again where everyone is human. Also, the Maurice’s Treats cart currently in Fantasy Faire will be moved over to this section. Arendelle will be the first thing on the other side of the train station and will be the east side of the current Toon Town location. The ride will be inside Anna & Elsa’s castle, and the gates that close each night when the Fireworks ar happening will be the palace gates. The Toon Town hills will be replaced to look snowy and Elsa’s palace will be up there in the distance. The ride will essentially be where Roger Rabbit is now, and where they currently just have a play area near the attraction exit will become a meet and greet location for Anna, Elsa, and Olaf. The Gag Factory store will be replaced by Oaken’s Trading Post. On the west side of this area will be a new permanent location for Nightmare Before Christmas (so as not to have to do the overlay at Haunted Mansion as NBC, but instead take out those elements). The forest with the doors to the different holidays will be how you transition from Arendelle to here. And you will be able to meet Jack Skellington daily, he will be seasonally joined by Sally and Oogie Boogie. Continuing west from Halloweentown is the city of Agrabah, which will have 2 main focal points. The first you will see will be the Cave of Wonders, which will be the entrance for the Aladdin ride. The ride will be flying in the magic carpet. The vehicle will be able to old 2 rows of 2-3 guests (like most Fantasyland dark rides). This will utilize the same track system as the Peter Pan ride only will have double the capacity per vehicle. You are on a Magic carpet ride where you will start in the Cave of Wonders when Aladdin finds the carpet, you will then go through scenes of Aladdin getting the lamp, meeting the Genie (Never Had a Friend Like me will be a large room). You continue through to Agrabah where you meet Jasmine and fly over various places as you hear A Whole New World. Places you will see include the pyramids, Greece, Agrabah, Cave of Wonders, and more. You will then go into the last main scene, which will be a showdown with Jafar he will transform into a snake and a genie and attack you. Then the finale room is Aladdin, Jasmine, Genie, and the Sultan in a celebratory scene. When you exit the ride you will be in Agrabah itself where there will be a shop and a restaurant. And in the palace (only 3 real towers, the rest is forced perspective/façade), you will be able to meet Aladdin, Jasmine, and the Genie. Another slight change would be a completely back of house change but will have a positive effect on the guest experience. This would be to have the backstage road after the parade gate make an immediate down grade of 4 degrees. This would get low enough that by the time the parade floats were to pass the train tracks they would actually be going underneath the track, then after they have cleared the track the grade will go up again until back the street level. The reason this will help the guest experience is because it will make it so that the Disneyland Railroad won't have to take breaks during the parades anymore and guests wishing to get from one section to the park to another will no longer have to try to fight the crowds along the parade route. Pocahontas: Around the River Bend, will be a new attraction where you ride in a boat and will take over the current area of the Festival Arena as well as part of the Circle D ranch “beyond the berm”. 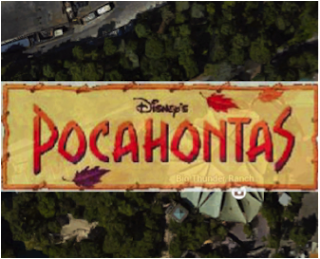 Also this new Pocahontas area will be perfectly aligned with the Indian village visible from the Rivers of America. On the main trail side of the Indian Village will be where Pocahontas herself will greet guests along with Meeko and seasonally John Smith. Tiana’s Bayou Adventure will be a new attraction based on Princess and the Frog. It can be in either New Orleans Square (though there isn’t much room for it) or in Critter Country, and it would follow the part of the movie where Tiana and Naveen are frogs, and end when they turn human again. Thematically it would work in either section of the park, it is more of a question of where there is more room for it without taking out anything currently between Pirates of the Caribbean and Splash Mt but potentially could replace the Winnie the Pooh ride. Also a walking path will be added between Critter Country and Pocahontas so no more dead end in CC. With Aladdin having a new home in Fantasyland area the Oasis is now freed up to be a home to Lion King and Jungle Book characters. In the Lion King half will be a puppet of Simba, a puppet of Pumbaa, and then Timon and Rafiki are walking around. In the Jungle Book half of the area you will see Baloo and King Louie. Basically you will always be able to see Simba in here and the other characters will rotate but you’ll see at least 3. Flynn’s Arcade will replace the current Starcade (this is one of the simpler changes) and will house Tron and Wreck-it Ralph inspired arcade games. This arcade will also permanently have meet and greet locations for Wreck-it Ralph, Vanellope, and Tron. Tomorrowland Theater will get a new 4D short film and it will be inspired by Wall-E. Film will run about 15 minutes, and the pre show video will be the along the lines of the Burn-E short. Tron Light Cycle coaster “Greetings Programs”, this coaster will take over the former People Mover track, Autopia track, as well as the Innoventions building and will be the coaster from Shanghai, only utilizing what is already at Disneyland for infrastructure. (I’ll explain what to do with Autopia later in the DCA portion of this). Astro Orbiter will once again be up above where the Rocket Jets used to be as opposed to on the ground level. This will bring more excitement to the attraction and will remove the disgusting bottleneck at the entrance to Tomorrowland. Hyperion Theater receives a new facade, it will no longer look like the street continues but instead will look like a legit theater with an indoor lobby, concessions, etc. Also, on Friday, Saturday, and Sunday nights the theater will offer performances of a past Disney Broadway show for an additional $15 charge (full length show), during the days a much more simple show. Toon Town (light) relocation to the North East corner of the Hollywood backlot area. The first 2 things guests will see are a new restaurant for the Ink & Paint Club (will operate similar to Golden Horseshoe), which is a toon revue dining experience. You will see Jessica Rabbit featured here every hour as well as a plethora of other characters doing sketches and/or showing shorts on a screen. This restaurant will replace the current House of Cards arcade and have 2 main entrances, 1 in Hollywood and 1 in Toon Town. The other entrance to the area is via a short tunnel (just like in the movie). Inside of Toon Town will be an upgraded Roger Rabbit’s Car Toon Spin (this will be in what is currently backstage replacing he building currently next to Monsters Inc. Also in this area will be a “Toon Green Room” where you can meet more rare characters that haven’t been seen in a LONG time at Disneyland (Esmeralda, Kronk, Mushu, etc). Also Roger Rabbit will meet guests outside of his attraction. Country Bear Jamboree will make its triumphant return to the Disneyland resort but in a new home. It will be between the Grand Californian and the Challenge Trail. And the building will be themed to the idea of a camping area. 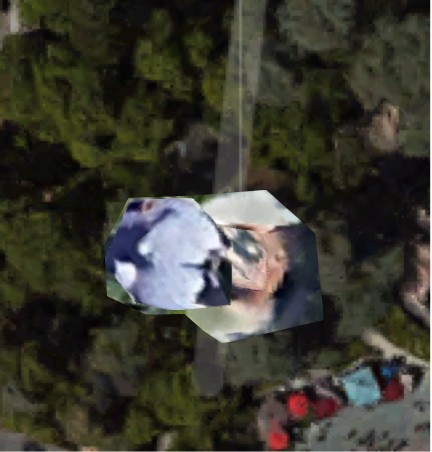 This will be the 4th attraction in the Grizzly Peak National Park and will pretty much finish the area. 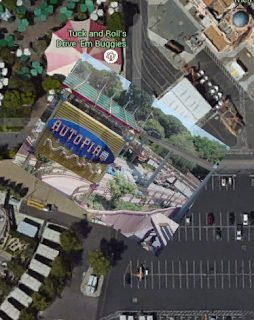 Autopia will be relocated to Cars Land and will take up the space of the current Tuck and Roll bumper cars as well as the other area between Luigi’s and Bug’s Land in what is mostly currently a parking lot. Also the vehicles will get changed to look like they belong in the Cars universe. 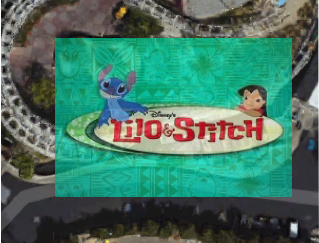 Lilo and Stitch themed dark ride added on the SW side of the Pier focusing only on the Hawaii aspect and not really the space aspect of the movie. Stitch will meet guests outside of the ride. The ride will partially take up the former location of the Maliboomer (queue area) and the show building will be in what is currently backstage (much like how the Toy Story Mania is placed). The North end of the park will be the Marvel section of the park, which will also have the main entrance. This area will feature Marvel characters from the films as well as some of the animated heroes from Disney/Pixar. To the NE corner of the park will have the Iron Man attraction being build at Hong Kong, part of the queue would be going through the hall of armor currently in the Innoventions building. On the other side of the entrance will be a Thor attraction that will take you on the Bifrost into the 9 realms and of course Asgard, using the ride system from Indiana Jones Adventure, and the vehicle design is based on the little fighter ships in Thor: The Dark World. Captain America and the Avengers will be the next attraction heading to the NW. The ride will feature Captain America, Falcon, Black Widow, Hulk, Dr. Strange, Nick Fury, Vision, Scarlet Witch, with cameo appearances of Iron Man, Thor, Ant-Man. Ultron(s) will be the leading villain(s) as well as some Chitauri with a slower ride system. You will see projected images in the backdrop as well AA figures in the foreground. The façade for the attraction is a Helicarrier. Across from Captain America will be the Guardians of the Galaxy using a Star Tours ride system. Almost like a FPS video game. Spider-Man will be a “webslinger” coaster that will be all outdoor coaster over a miniature city block. Spider-Man himself will appear a few times as will Green Goblin and Doctor Octopus. This will be the attraction that segues into the kids part of the Marvel section of the park as he is the most kid friendly of the Marvel characters. Big Hero 6 will be in the kids section of the park and will feature a meet and greet with Baymax and one of the other heroes. This will be a dark ride along the scale of Monsters Inc in DCA. Incredibles will be the other ride in the kids section and will be a legit dark ride on the order of the Little Mermaid ride for length and attention to detail. The ride vehicle will be the pods from the film and you will encounter all the main characters. It will focus on Nomanisland and the end fight against the omnidroid. Outside this attraction you will be able to meet Mr. Incredible, Elastigirl, and Frozone. 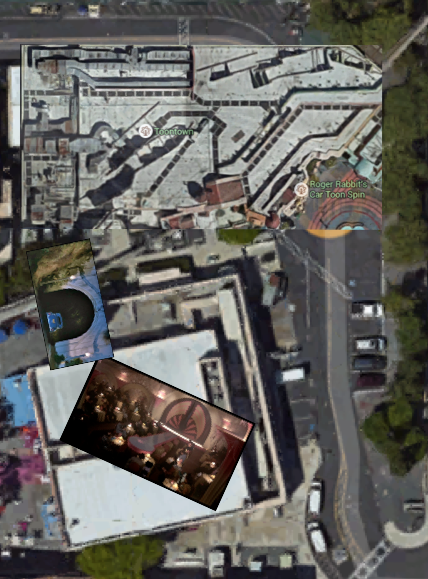 In the area bridging Marvel and Star Wars will be a SHIELD facility that will house extended previews for the next Marvel and Star Wars films. All cast members in the Marvel section of the park (apart from characters) will be SHIELD agents. Iron Man, Thor, Captain America, Black Widow, Spider-Man, Star Lord, and Gamora will be out daily for meet and greets. And at least 2 of the following will join them: Vision, Hawkeye, Fury, Scarlet Witch, Dr. Strange, Ant-Man, Drax, and Groot. Star Wars will be the South 2/3 of the park and will be split into 4 areas: Prequels, Originals, 7 & Beyond, and the kids area will be dedicated to Clone Wars and Star Wars Rebels. Pod racing will be the first attraction in the prequels section of the park and will be an outdoor coaster. Set pieces will include Tusken Raiders w/ Banthas, Jawas w/ Sandcrawler, moisture farms, Sarlacc pit and Jabba’s sail barge, and a grand stand area. Naboo is a small area with a stunt show with Obi-Wan, Qui-Gon, and Darth Maul. Geonosis arena interactive attraction where you can use lightsabers in duels against your friends. Area can also be used for stunt shows. The Jedi Temple will be a large building that houses the room of a thousand fountains, shops, actual tower to the council room where you can meet Mace Windu, Yoda, and Obi-Wan who will welcome you to the Jedi Order. And there will be a ride called Clone Wars where you will ride in a republic juggernaut tank, there will be a clone commander in your vehicle. You will travel through all the various planets and see the clones and jedi fighting the droid armies. All of a sudden you are in a black room where you will see a hologram of Emperor Palpatine appear in front of you and he will say “Commander, execute Order 66”, the Clone in your vehicle will respond with “Yes sir”. Then the Emperor fades away and all of a sudden the heat turns up and the music from the battle of Mustafar and you will see the epic battle of Anakin vs Obi-Wan as you exit the room. Moving into the section more based on the original trilogy you will head out from the Pod Racing ride you will see the Cantina from Tatooine which will be a restaurant featuring the band. Turn around and face the SE, and you will see an AT-AT walker and the Millennium Falcon. The Millennium Falcon will a walk through attraction where you can meet Han Solo, Chewbacca. Between these 2 vehicles you see a snowy hill with an entrance to the Hoth base where you will be able to join the rebels in the battle of Hoth against the AT-AT walkers in a massive video game setting. You will sit in a booth and play through the fight in a snow speeder. Take out the AT-ATs and watch out for Darth Vader. Continue South from the Millennium Falcon into Endor, the village will be a forest but looming up above you is the sinister Death Star (it will be the size of Spaceship Earth at EPCOT). The Death Star is powering its weapon so you better go help stop it before it is too late. Inside the Death Star you will be on an indoor rollercoaster where you will have to board your fighter and help stop the evil empire. The ride will be an all indoor coaster (like Space Mt) and you will see projections around to look like a generic Star Wars battle. On the far south side of the Death Star would be an imperial base where you can meet Darth Vader and other imperial characters. The SW corner of the park will be for episodes 7 and beyond and the only attraction so far is a coaster going in and out of the crashed Star Destroyer on Jakku. In the SE corner will be the kids area which will consist of simple rides and things based on the animated TV shows. 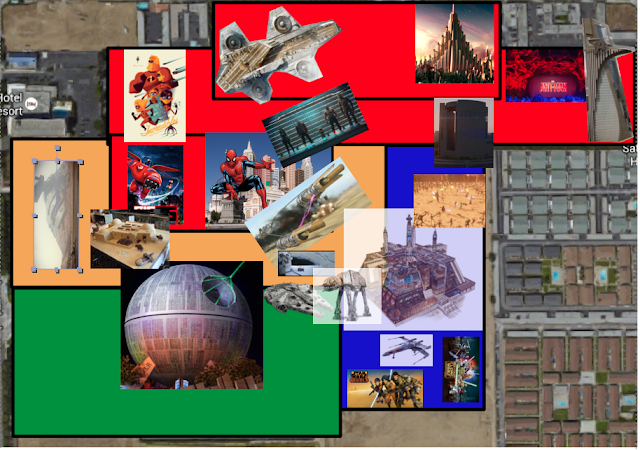 To represent Star Wars: The Clone Wars, a simple dark ride where you will meet the jedi characters from the show: Yoda, Obi-Wan, Anakin, Ahsoka, Padme, Captain Rex, Darth Maul, and General Grevious. To represent Star Wars Rebels, a simple dark ride taking a tour of the ghost where you can see all the crew: Hera, Kanan, Zeb, Sabine, Chopper, and Ezra. And a quick fight scene between Kanan, Ezra and the Inquisitor. An evening entertainment for the Marvel section of the park will be a big party (like Mad T Party). For Star Wars, Jabba’s palace at night it becomes a 21+ venue with alcohol, live music, dancing, etc. Outside, there will be a light show with projectors mounted on the Death Star (in laser dish and/or on equatorial trench) aimed at the Jedi Temple and projectors on the temple’s spire aimed at the Death Star. Both will be visible from the central plaza. This new water park will be on the site of the current Simba parking lot on the SW corner of the main resort property. The park will be visually reminiscent of the Pirates Cove area being built at Shanghai Disneyland, however it will be all water attractions (water slides, lazy river, etc). There will be a replica of the Black Pearl docked in a small lagoon (picture how the old Chicken of the Sea pirate ship restaurant was in Fantasyland) the difference is that this will be an area where you can go to meet Captain Jack Sparrow. But not to completely negate Disney's original pirate, Skull Island will also be featured on the opposite side of the lagoon where you will find Captain Hook and Smee plotting about. The only other main attraction worth mentioning that isn't a basic water slide will be one that takes you down the Maelstrom (from At World's End) This will be a slide that will require a projectors to give you that sense. The park will also have some fun at night, while the slides will be shutting down at dusk, the final thing guests can experience will be a projection show aimed at Skull Rock, and throughout it the cannons from the Pearl will be put to use to fight back. Show will run for 15 minutes and after that the park will close for the day. The first major expansion of Downtown Disney will be for Disney to buy out Gardenwalk and make it act as a controlled corridor between the new parking structure being built and the new park. Also part of the Gardenwalk section of Downtown Disney will be to open 1 or 2 new hotels over there. One a moderate priced and one a value priced Disney hotel (first value resort on Disneyland Resort property). The second big part of the expansion will be a new Monorail line. This line will run from the current Downtown Disney station (if you face east while on the platform you would see this new line). The track will run in a circle and will start by going heading south and will run above Disney Way. Then at the new parking structure it will stop along the north side of the garage and will then go through Gardenwalk to make a stop on the SW side of the Star Wars section of the park near the Death Star. From here it will go North on Harbor, Turn west at Katella, and will then gradually merge to where it is following Disney Way again. 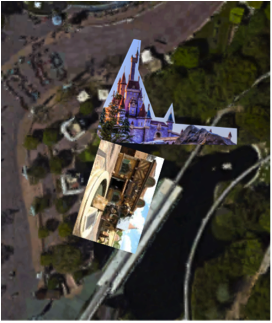 There will be a loop for it to turn around for the station above the Pinocchio parking lot. Also there will be a track switch on the North side of the station so that the Monorails can get from the roundhouse to the new line. The track is visible in a black line in the Resort Overview image.